While the Chinese Communist Party has been crusading against the universal values domestically, the Chinese government is vigorously seeking to become a member of the UN Human Rights Council this fall. We laud the latter’s aspiration. As a Chinese citizen, I hope China will fulfill its wish. But China is a big country with a large population where the rights of its 1.3 billion people have neither been guaranteed nor protected. This compromises the implementation of the UN’s International Covenant on Civil and Political Rights. The only impediment comes from China itself. The Chinese government signed the ICCPR 15 years ago, but over the last 15 years, it has not ratified the Covenant that would have been a real blessing for the Chinese people. This is perplexing. If the CCP resisted this Covenant on rights for the sake of maintaining its ideology that are anti-universal values, why did it send representatives 15 years ago to the UN to sign it? Since China signed the document, it should be ratified, and put into effect. China should not shelf ithe Covenant for 15 years without giving any explanations. The mystery behind it perhaps involves leaders on too high a level and schemes too deep to be fathomed by outsiders. But no matter what the case was in the past, the CCP should put aside the old books and make renewed, responsible choices. It should either immediately ratify and, going forward, strictly implement the ICCPR as well as Article 35 of the Chinese Constitution, or declare that it was a mistake to sign the ICCPR and that Article 35 of the Chinese Constitution is also wrong, and withdraw from the UN Security Council. China has put it off for 15 years. It is okay for a bat to fly and be a mammal at the same time, but for a country, it is a joke. Some may say, All right, China can withdraw from the ICCPR, but why withdraw from the Security Council? My understanding is that a member of the Security Council, a permanent member in particular, must accept the constraint of the International Bill of Human Rights. If a government cannot even be held responsible for its own citizens and its own Constitution, how can we expect it to be responsible for the UN and for international agreements? If a government is interested only in maintaining its own rule but not in maintaining its citizens’ civil rights, can you expect it to maintain the peace and security of the world? Bao Tong (鲍彤) was the secretary of Zhao Ziyang (赵紫阳), the CCP Secretary General sacked for his sympathy for the students during the Tian’anmen Square protest in 1989. Bao Tong was also director of CCP Central Committee’s Political Reform Office. 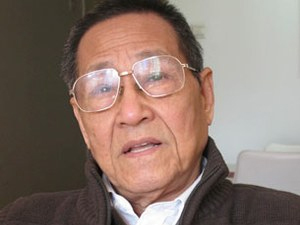 He was jailed after the Tian’anmen incident and expelled from the party membership. He now lives in Beijing and writes commentaries about current Chinese affairs for overseas media outlets. By China Change in Analyses and Opinions, Human Rights & Civil Rights on October 24, 2013 .